Coyly posing and certain of their bounty, this genetically modified pair of contemporary iconic Australians are not at all as they appear. Materials lie, as do dreams of the future. 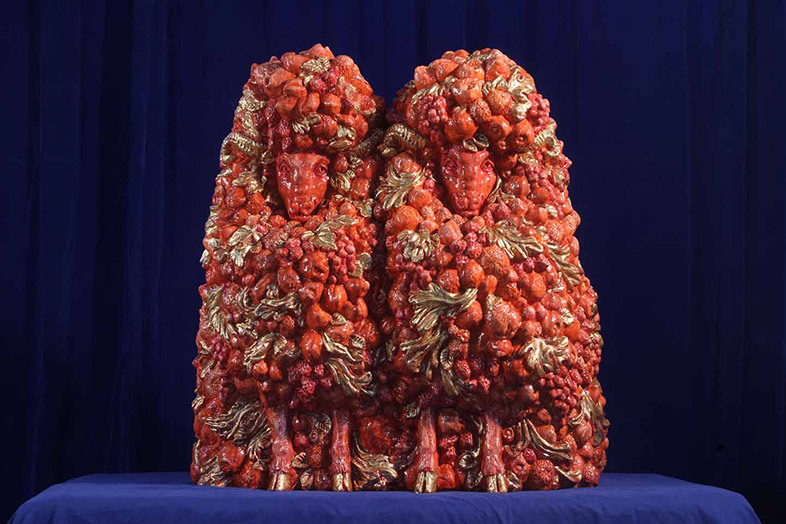 Made entirely from synthetic materials, this duo refer to a European ceramic tradition that they have reinterpreted.